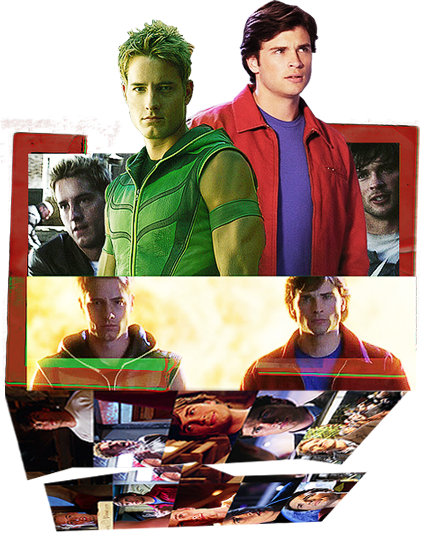 Fan Forum > TV Shows - Past > Smallville > Contrasting Heroes [Clark & Oliver] #6: B/c Oliver played big brother at leading the way for Clark to embrace his power and be a hero. Contrasting Heroes [Clark & Oliver] #6: B/c Oliver played big brother at leading the way for Clark to embrace his power and be a hero. #2: B/c they've both pretended to be each other. #3: Because they need to kiss and make up already. #5: Because "You and I, we have to save the world together." You are both very welcomed. Also, I got this current thread title idea from a quote that Si said in the previous thread. Loved Clark and Oliver's friendship. Beautiful OP! Their friendship really happened at a point where Clark really needed Oliver.